Home › Economic & Financial News › FTSE 100 Companies Hit With More Pension Woe. Aggregate pension deficits for FTSE 100 companies have increased over the last 12 months. The aggregate shortfall now stands at 60 billion pounds, 7 billion (11.7%) higher than a year before. 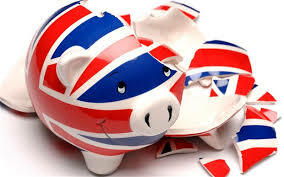 UK companies have to measure the deficit or surplus of their defined benefit pension schemes every three years. Tesco and Lloyds bank are among those re-valuing their pension schemes at the moment. With others doing the same, we are likely to see deficit increases due to record low interest rates and previous quantitative easing. In regard to final salary pensions, if the employer becomes insolvent and the scheme is underfunded, the scheme may be rescued by the government’s ‘lifeboat scheme’, the Pension Protection Fund. The PPF isn’t a straightforward solution however. The scheme will embark on a 12-month assessment period beforehand where the PPF establishes if the scheme is eligible for compensation. It can instruct trustees regarding investments, expenditure, and even in legal proceedings to recover assets from the insolvent employer. For obvious reasons, this can be a lengthy process and many are put through undue stress during the wait. If the PPF takes over responsibility for the scheme it will assist both retired and non-retired members of qualifying schemes but this doesn’t guarantee that you will receive your expected pension. The regularity that companies send out pension valuation statements also varies widely. Some employers will only send out one a year. Therefore, if you are interested to see the value and assess options it is always a good idea to request one. For some approaching retirement, they may well find that this is a worthy course of action compared to waiting another year.